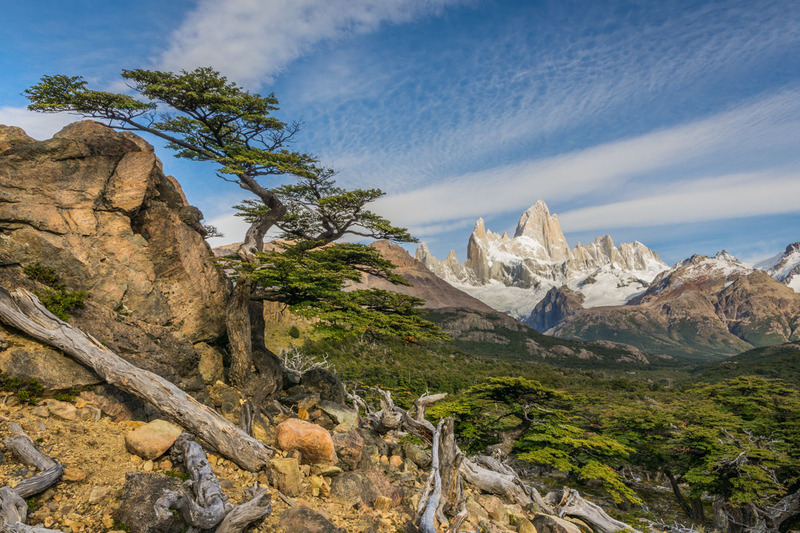 In Argentina’s Los Glaciares National Park, near El Chalten, Mount FitzRoy dominates the landscape, your photos and your memories. There is no escaping its beautiful shape. 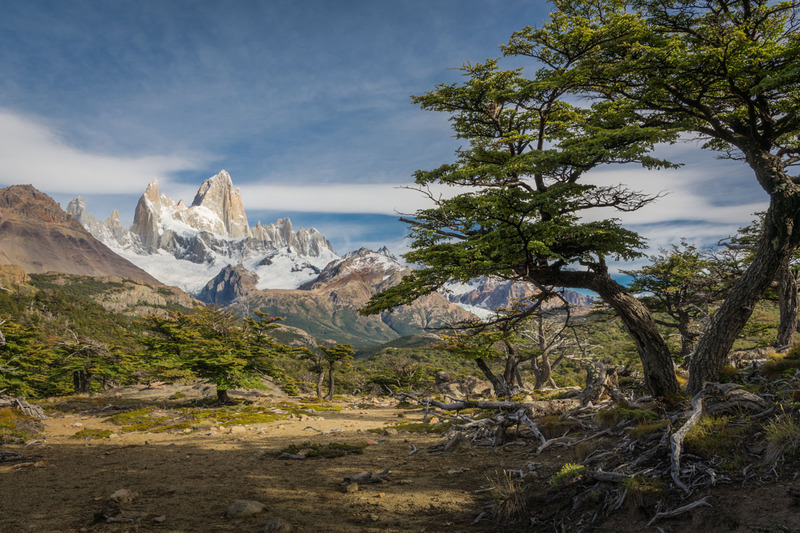 Los Glaciares is deservedly designated as one of UNESCO’s World Heritage Sites, and is just one of the places I had to visit in my very long bucket list… which I will certainly fulfill if I get rich and live 120 years! In this post I want to show you different views of this 11 000 ft mountain named after the Captain of the HMS Beagle whom had none other than Charles Darwin as a companion (and eventually expedition’s naturalist) during its 1831-36 trip around the world. 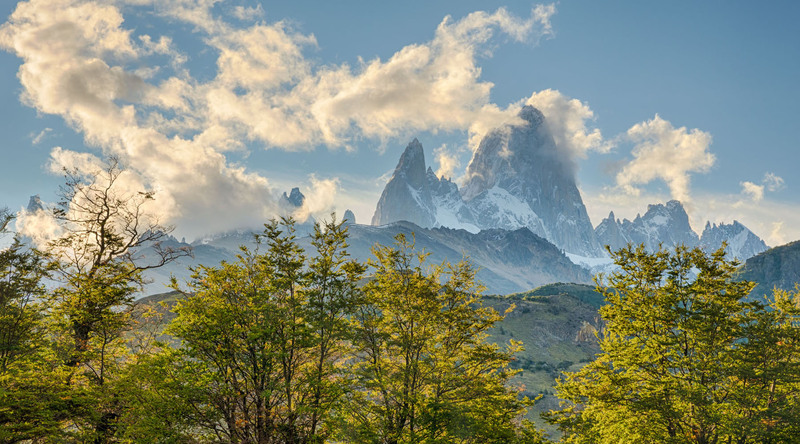 You can see FitzRoy and also Cerro Torre if you walk just out of town from El Chaltén but the best views require hiking a few hours through beautiful Southern Beech forests on the slopes of the mountain. 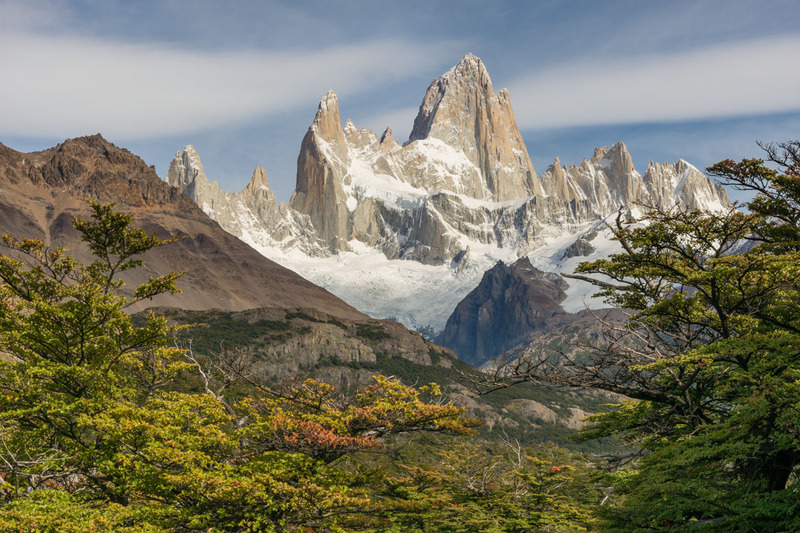 The highlight of our walk through Patagonian Southern Beech forests: Mount FitzRoy. The view from FitzRoy’s overlook is magnificent. I framed the mountain in as many ways as I could. Here I liked the old tree trunks and the bonsai-like shape of the tree. Being from a tropical country I was amazed there were so few species of plants and animals. What the forests lacked in biodiversity though, they compensated for in the thousands of shapes of the Lenga trees. 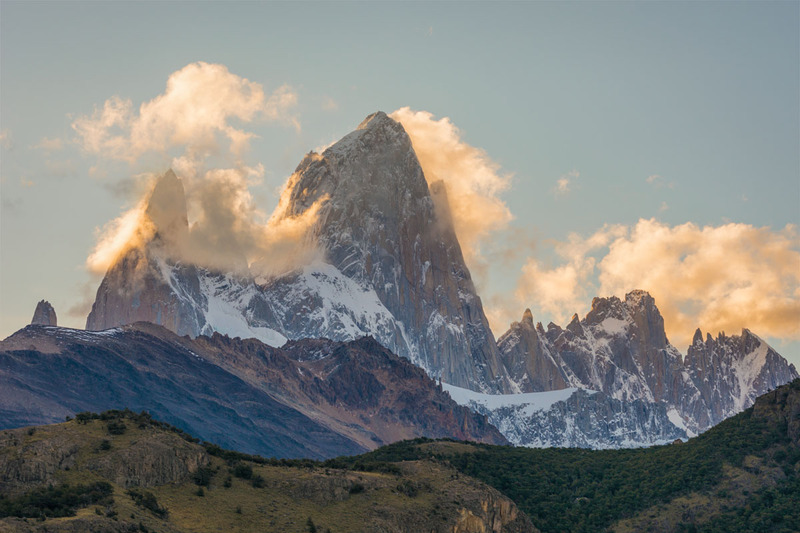 The sky clears out above Mount Fitzroy. View from the Los Glaciares Park office in El Chalten. From the Park Ranger’s building, just outside from El Chaltén we saw the eastern face of the mountain in late afternoon, clouds waving farewell to us. Could I have entitled my post seven views? Sure! You bet I made a lot more photos and if you want to see more of them, as well as other pictures from Argentinian Patagonia, please head to my Photoshelter website by clicking here. You will be a most welcome visitor there.